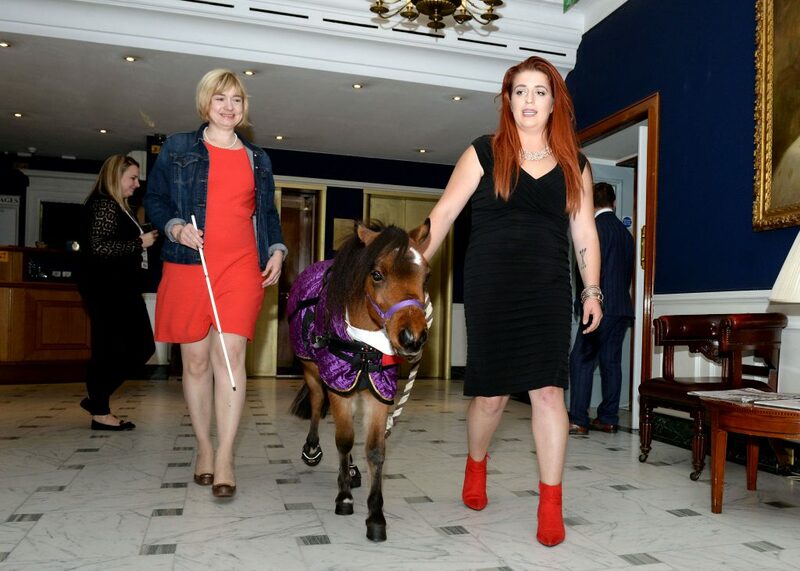 The UK’s first guide horse was the mane attraction on the streets of the capital when he was treated to a big day out at a red carpet event – before scooping a top prize. 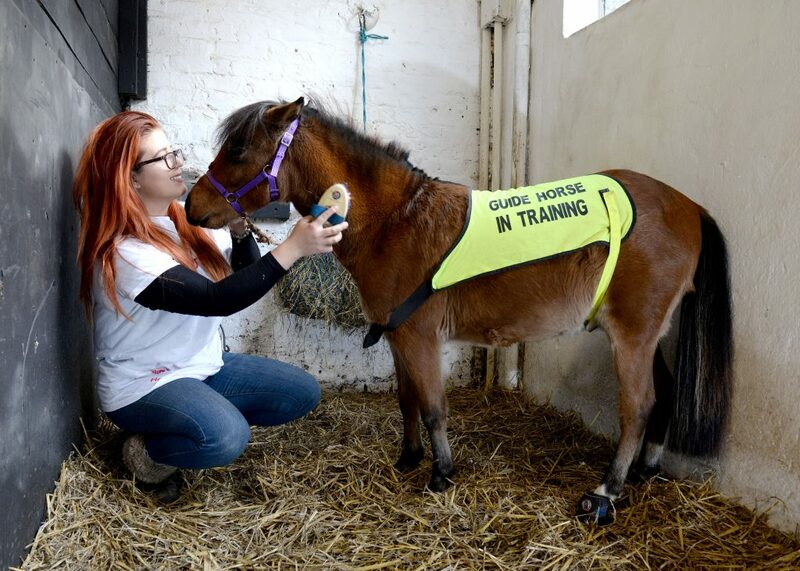 Two-year-old Digby, a two foot tall American miniature horse, is in training to help his blind owner-to-be, who is scared of dogs, cross roads, find post boxes and activate traffic lights. 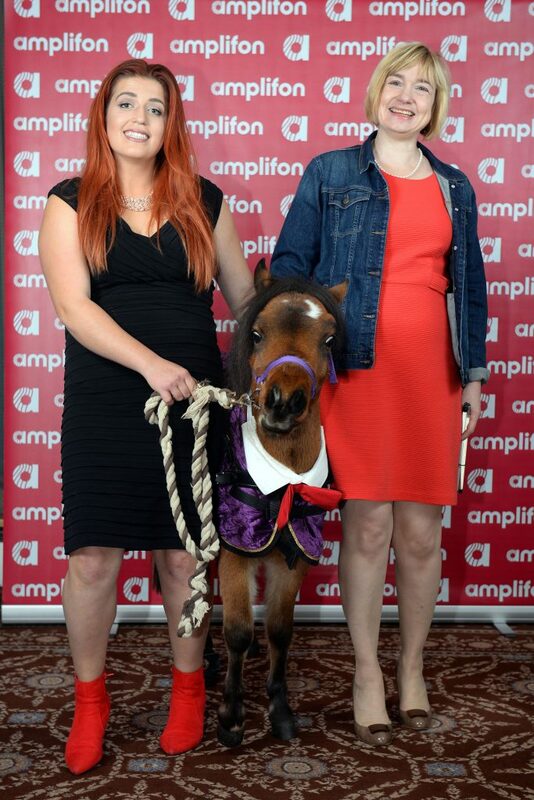 And yesterday [TUES] the smart steed made the trip to the big smoke from his home at Northallerton Equestrian Centre, North Yorks, for the Amplifon Awards for Brave Britons. Suited and booted Digby, stole the show in an adorable custom-made black tie outfit before bagging the top prize in the Judges Award category – and celebrating with his own bowl of carrots. It is now hoped he will be at the forefront of a change in legislation to allow guide ponies to enter restaurants and shopping centres and ride on public transport. Trainer and groom Kate Masteic, 23, who accompanied Digby, said: “It was a really good journey down to London from Northallerton. Digby slept and ate the whole way. He was no bother – an absolute star. “When we arrived and led him to the stables, he was really happy straight away with all of the other horses. Once fully trained, Digby will begin living with dog-phobic journalist Mohammed Salim Patel, from Blackburn, Lancs, and assisting him with day-to-day tasks just like a guide dog would. The horse was treated to an overnight stay at Ross Nye Stables in Bathurst Mews before arriving at the awards ceremony, held at the Army and Navy Club in Pall Mall. Digby even navigated the stairs into the venue with ease following months of training from Katy Smith, his main trainer and owner. Once inside, he was happy to join the awards luncheon, lying down in a basket of hay and dining on his own bowl of carrots that had been prepared especially for him. Citing Digby’s unique nature as the UK’s first guide horse, the judges were unanimous he should be recognised with a special prize. Head judge Giuseppe Manzo, CEO of Amplifon UK, said: “This was the first time the judges decided to give a finalist a special award because of the unique nature of their story. “Digby is being trained in a whole set of challenges never before undertaken by an equine in this country. “He is a very special pony and a very special pet for his impaired-sighted owner Mohammed Salim Patel, who is at this moment away in the USA experiencing the use of guided ponies that have existed there for several years. 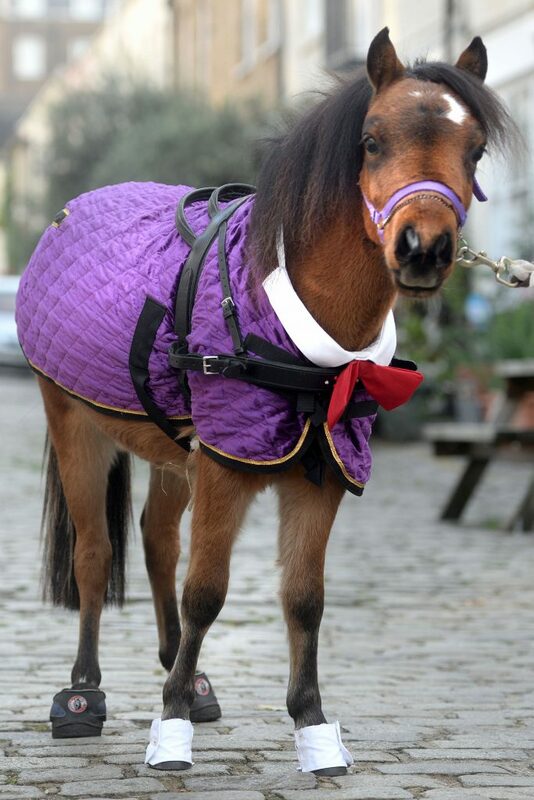 “In the next few years Digby will be at the forefront of the hopeful change in legislation which will allow guide ponies to enter restaurants, lead Mohammed around shopping centres and travel on public transport along with a host of other known and unknown perils that lay ahead. Mohammed, 24, has degenerative eye condition retinitis pigmentosa, a condition which has since made him virtually blind. Digby is currently being trained by Katy Smith, 58, who runs Northallerton Equestrian Centre but when his training is complete will return home with Mohammed to live in a stable in the garden of his house in Blackburn. In a previous interview, Mohammed said: “We’re quite close. He recognises me and I feel like we already have a bond. “He’s given so much to me that I just want to care for him and make him as happy as possible.